MANILA (Mindanao Examiner / Oct. 4, 2011) – At least 28 undocumented Filipino workers were allegedly detained by Jordanian authorities as it began a crackdown on illegal immigrants, the Migrante-Middle East reported. John Leonard Monterona, the group’s regional coordinator, said they received reports that 28 Filipinos were among those arrested in separate operations that started on September 26. 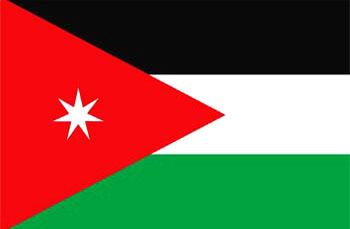 The Department of Foreign Affairs in Manila on Tuesday denied the reports and said there was no crackdown in Jordan. But Monterona has released a copy of an exchange of e-mails between OFWs in Jordan and Migrante after the Filipinos sought help from the group. Monterona accused Philippine embassy officials in Jordan of sleeping on their job and not knowing what was going on. “The PH embassy officials in Jordan are sleeping over reports of series of raids on undocumented OFWs. They are sleeping on their job,” Monterona told the Mindanao Examiner. He said one OFW told him that the crackdown is continuing even in the capital city of Amman where Jordanian authorities are conducting a house-to-house search for illegal immigrants and undocumented foreign workers. “The PH embassy and the Aquino administration should also investigate, which despite imposition of deployment ban since January 2008, thousands of OFWs have been deployed by illegal recruiters and human smuggling, using Hong Kong or Dubai as OFWs entry point,” Monterona said. He said they received information that illegal recruiters and human traffickers may have contacts from within the embassy and the Philippine Overseas Employment Administration in Manila because despite a travel ban many Filipinos were able to get through Jordan. Many of them enter Hong Kong or Dubai in the United Arab Emirates as tourist, but end up working in Jordan.